NY Pancyprian Freedoms got the best out of NY Greek Americans 3-2 in the Hellenic Derby on Sunday night at the Metropolitan Oval to go five wins out of five matches in all competitions thus far this season. The Freedoms scored the first goal of the derby in the 21st minute. Pancyprians right back Jonathan Borrajo shifted away from Daniel Espinoza’s slide tackle attempt on the right flank before delivering a cross to Shavon John-Brown, who coolly tapped the ball in the net to score his second CSL goal. Unfortunately for Borrajo, he went from assisting the opener to conceding a penalty later in the 42nd minute as he put a hand on Noah Hutchins’ cross. NY Greeks striker Charlie Ledula struck the ball hard and high in the middle of net from 12 yards out to even up the score against his old club. NY Pancyprians midfielder Andreas Iosifidis put his side back on top with unarguably the best goal of the night two minutes after the hour mark as he one-timed a NY Greeks’ clearance to the bottom right corner of the net from about 25-yards out. The Freedoms leveled up to a safe two-goal lead later in the 81st minute when an unmarked Adam Himeno headed Borrajo’s cross in the net. Despite the chant of the away Pancyprians fans after Himeno’s goal, Ledula almost pulled one goal back for the Greeks as he headed the ball off the right post in the 88th minute. NYGA did lessen their visitors’ lead in the 93rd minute when Shaun ‘Fozzy’ Foster sliced Pat McCann’s ball over the top to the far bottom corner of the net from the box. The Greeks searched for an equalizer in the remainder of the added time but couldn’t break past NY Pancyprians’ defense. The Freedoms stay in second spot after the win and boost up their domestic record to 4-0-0. Meanwhile NY Greeks drop from fourth to fifth place after their first loss of the season with a new 2-1-1 record. NY Pancyprian Freedoms fullback Jonathan Borrajo. 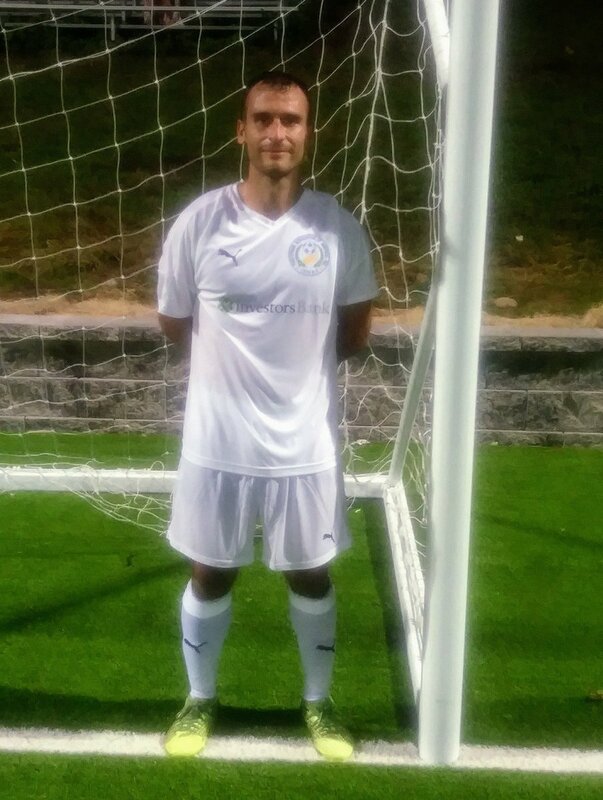 NY Pancyprian Freedoms right back Jonathan Borrajo was selected as Man of the Match after guiding his side to the victory with two assists from two pinpoint crosses. Borrajo praised his teammates for ushering him to his goal passes. It was the New York Cosmos B fullback’s first time playing in the Hellenic Derby. “Before the game, I was told a bit about the history between these two teams, it goes really far back. It’s great to see at any levels in this country there’s derbies and good competitions. It was great to be a part of it for the first time. I’m happy that we came out on the winning side,” the 31-year-old said. Borrajo went on to expressing how crucial it was for the Pancyprians to win the Hellenic Derby. 1. NY Pancyprians still remember their loss to NY Greeks in the 2017 final: NY Pancyprian Freedoms haven’t lost to NY Greek Americans in the league since falling to them in the final two seasons ago, which amounts up to three matches. 2. Big game, big crowd—well kinda big: About 60 animated supporters (which is quite a large number compared to other matches) made the trip on Sunday night, putting an exclamation point on the big derby. 3. The Greeks know how to score on their rivals: NY Pancyprians conceded more goals in Sunday’s encounter than in their first four matches of the season altogether, allowing two goals.